No other living creature features as heavily in contemporary character design and art as the humble hare. But what exactly makes bunnies so irresistible to artists, designers and illustrators worldwide? Depending on the viewers' cultural context rabbits can symbolise anything from insanity, alertness, defencelessness, all the way to promiscuity, magic powers and utter innocence. 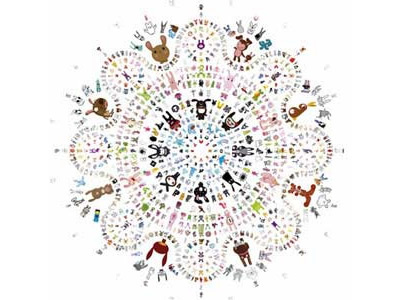 By condensing the endless variations of the rabbit motif into one ultimate system - a perfect bunny mandala - the true nature of the beast emerges: the eternal essence of rabbit. 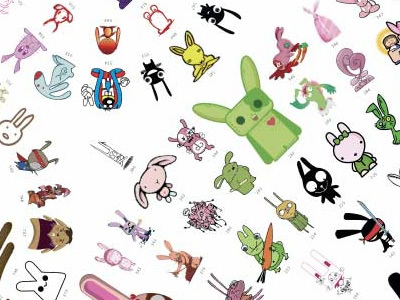 Pictoplasma (http://www.pictoplasma.com) asked internationally established and upcoming character designers, illustrators and artists around the globe to send in their versions of rabbits, bunnies, hares and everything in between. The result is a full-scale bunny overdose, with far more than 1.500 individual rabbits from 500+ international contributers. Would love to have one too!! who is the author? I'd like to use one of the images for a short story. Just Love it... where can I buy it?